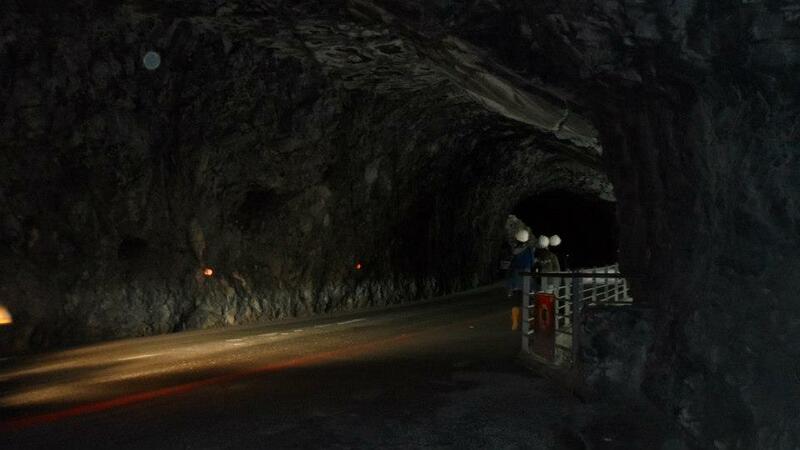 Majority of the tourist who plans a trip to Hualien have one common place in mind that they would like to visit and that is the: Taroko Gorge. Though there are cheaper ways to get from Cingjing to Hualien, it will cost you a day and/or miss the chance of visiting those attractions that are along the way. For a group of 4 or more, hiring a private driver would probably be the better choice as it takes you through the Central Cross-Island Highway and into Taroko National Park, still having enough time to visit the attractions around Taroko Gorge – the famous landmark of the park. Went to bed after a satisfying steamboat, and woke up to this simple and light yet oh-so-delicious breakfast. All prepared by the owner herself. Dining area of the BnB; talking to the lady behind our delicious meals. Our driver for the day came to pick us up at approximately 9am at our accommodation, just nice enough to enjoy our breakfast and bid the owner goodbye. On off we go on our road trip to the beautiful Taroko Gorge. There are a number of sights across the Central Cross-Island Highway/ Provincial Highway No.8 and you may not be able to pack all in your itinerary. Depending on what you choose, you may end up visiting less sites than others. For example; if you choose to take a dip at the Wenshan Hot Spring which requires some hiking to be done, you will have to allocate at least an hour and sacrifice some other attractions to fully immerse in the natural hot spring. We researched on the sights that we would like to visit and informed 古小姐 prior to our trip, who runs this private car service with her husband (our driver) and son. Then according to her experience, let us know the possible and best routes based on our preferences. Communication is necessary to plan an ideal trip, and 古小姐 has been very patient and professional in helping us throughout the planning. In the end, we went with: Cingjing – Wuling – Hehuanshan – Dayuling – Bilu Sacred Tree – Tianxiang Scenic Area (2 hours at Baiyang Trail) – Cimu Bridge – Jiu Qu Dong – Swallow Grotto – Eternal Spring Shrine – Shakadang Trail – Accommodation in Hualien City. Passing through layers of clouds as we ascend and descend. Though grey, it was with pleasant weather. Rest stop. The real purpose? But they do sell really delicious organic snacks though. Cherry blossoms along the way. I have forgotten how long did it took for us to finally reach the Taroko Gorge. But because of the beautiful sights along the way and having frequent stops, it was not tiresome but enjoyable. Was pretty cold when we arrived at Hehuanshan and our guide told us that it could snow if the temperature was just a bit lower. We were all so excited then as we have not seen snow before. Not including the few minutes that I have encountered in NYC prior to this trip. Taroko Gorge is an impressive 19km long canyon and the natural marble landscape will surely take your breath away with its beauty – or at least it did for me. Attractions itself is nothing to shout about, but the surroundings do make up for it. And our guide!!! – whom explained the formations of the natural sights to us. It would have been mundane to just look at attraction ABCDE if not for his introductions. 10~11 stops on our 8hrs roadtrip was just nice. Did not felt like we were rushing through the trip though we did not manage to get on Shakadang Trail as planned. Instead, we headed to Chihsingtan Beach 七星潭 – carpeted with pebbles, facing the pacific ocean. Pebbles at Chihsingtan Beach 七星潭 instead of the usual sand. What a nice ending to the road trip, especially when I love beaches and sunsets (though not observable that day) beyond words can describe. Relaxed and just inhale the ocean breeze for awhile before we slowly make our way into the city and was dropped off at our accommodation, welcomed by rain. Apparently the famous one in the city is 公正街包子 as shown above however, the one next to it was well-received too! I booked this family-run service with 古小姐 and she assigned her husband to be our guide for the day, whom we were all very satisfied with. We paid NTD5500 for a 7-seater and the entire trip was around 8hours. Planning a trip to Taiwan? Check out what other places can you visit on a 10D9N Trip!